Before going on a Boracay escapade, we all agreed to include some exciting activities in our list like helmet diving and ATV. 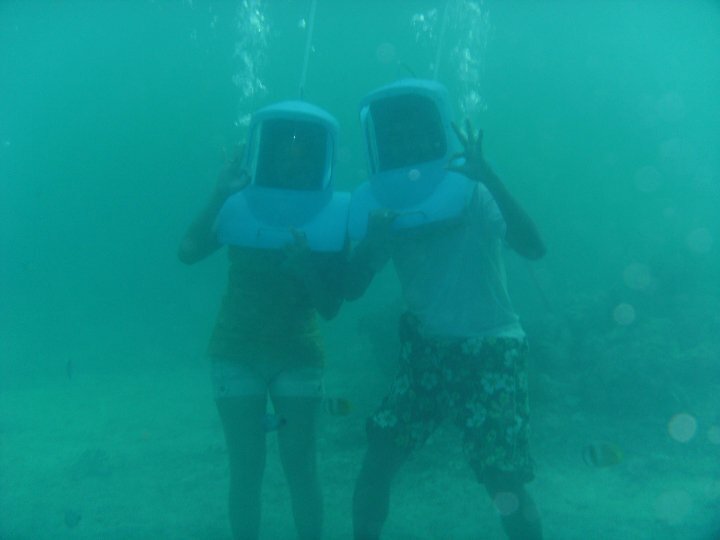 So on our 2nd day at Boracay, we chose to headed off for our first activity; helmet diving or some people called as reef walking. 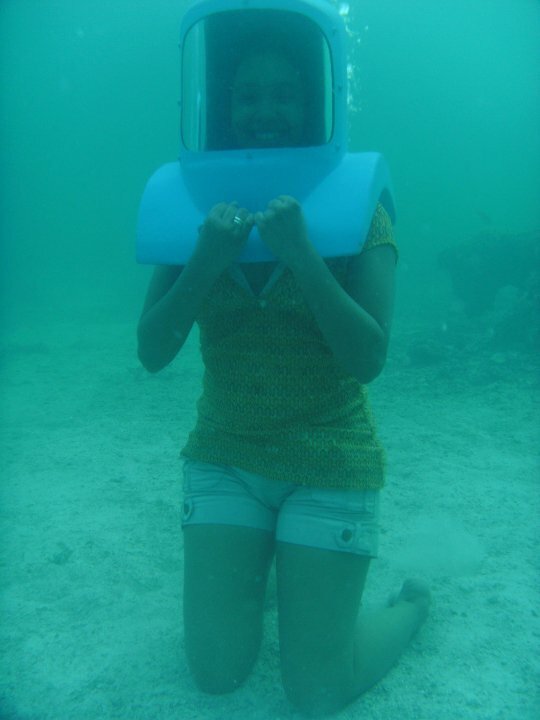 I already tried this activity the last time we went in Boracay way back 2009 and honestly, I really enjoyed it. So after negotiating about the price, they give it Php 400.00/person since we’re 6 in the group including CD of photos and videos. Helmet diving involves going 15 feet underwater with 15 kilos of helmet that filled with oxygen. 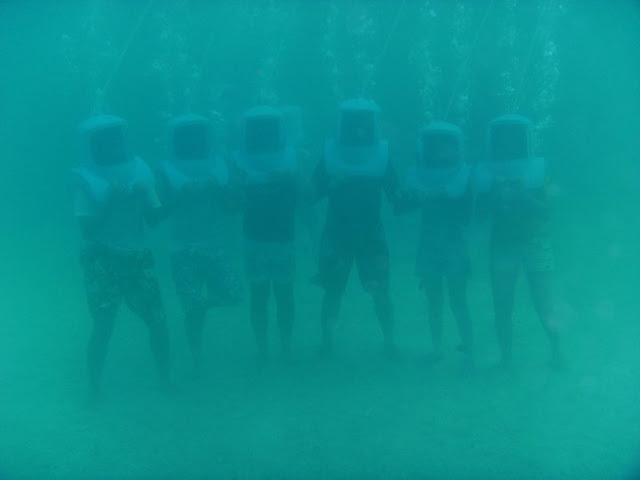 In this subaquatic activity, you were given 20 minutes to enjoy underwater, walked on the reef while playing and feeding different kinds of fish. 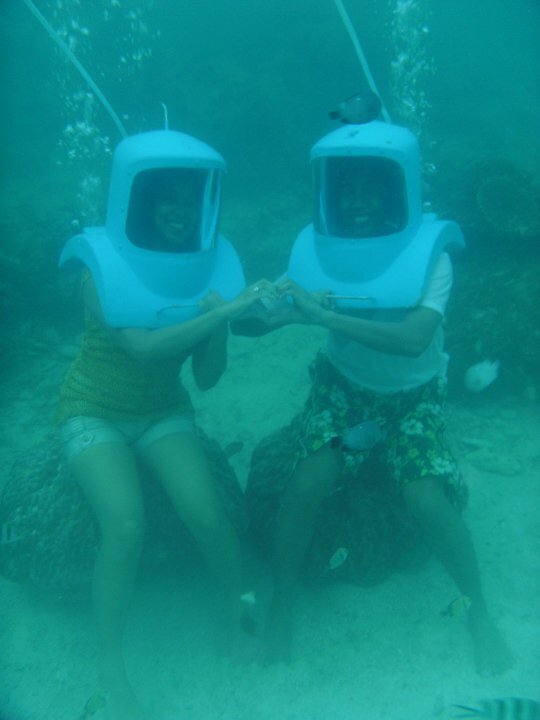 You may also do photo ops or anything you want to do under the sea. Haha. Ready for our 1st activity! At first, I was doing so well until the water level in my helmet. I admit that I can’t breathe naturally, but as our instructor told us “Do not panic, just relax and breathe naturally”. He also added not to tilt the helmet and remember the sign language. But as soon as I reach the sand, everything is going smoothly. Anybody can do this exciting activity as long as you follow directions and are brave enough to go underwater for some time. We really enjoyed dancing, pose for pictures, feed all sorts of fishes and just simply admire the view under the sea. It’s exciting and fun!!! The following day, we got the CD copy of our photos underwater and a short video clip of this exciting activity. And for our next activity, we agreed to try ATV ride, this is one thing I looked forward to for our Boracay Trip. Our tour guide gave us fair price for this rice, Php 300.00 pesos then additional entrance fees for Tanawin Luxury Apartment worth Php 50.00. You also have a choice whether you want to visit Everland Aviary Farm additional Php 30.00 or Mt. Luho, additional Php 100.00. We are all excited to see Boracay island in 360-degree view. The ride is very challenging, there are instance that one of my friend accidentally hit the sidewalk. After 20 minutes, finally we reach Tanawin View Point wherein we gave 30 minutes to enjoy the scenery. 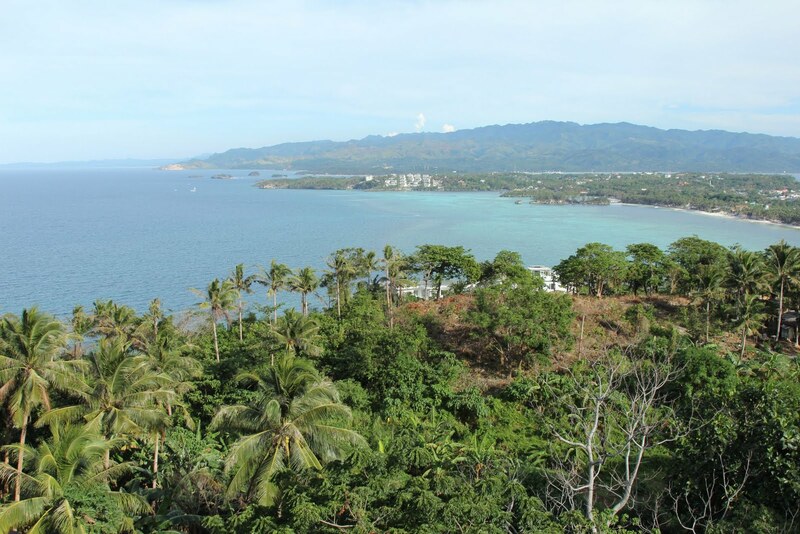 This Luxury Apartment can see the overlooking Bulabog Beach and Caticlan Island. This exciting tour is to see the highest peak of Boracay, the scenery was breathtaking, and the breeze was cold even it is summer time. Overall, Boracay offers fun and exciting activities ever! This is one of the best places wherein we forget all our worries and just enjoy our quick yet memorable summer getaway. Other popular activities are jet skiing, banana boat rides, kite boarding, and island hopping. Looks like you had fun. We never got the chance to do those things when we were there. I miss Boracay. After reading your post, I feel like packing my things and go to Boracay right away. My Boracay experience last year was fun yet very expensive, so I'll try to find some cheap Boracay packages this time. I will try helmet diving next time. Cheers!